Summer is over and school is back! And so is the sporting season for many organised sports leagues and clubs in Hong Kong. 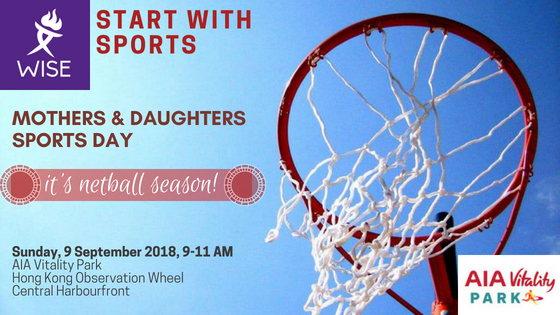 To celebrate and prepare ourselves for Autumn and the upcoming academic year, WISE are running their Mothers and Daughters Sports Day on Sunday 9 September from 9 - 11am. This is their Mothers and Daughters Sports Day where they invite Hong Kong-based mothers and daughters to join for an intensely fun sports day. It is a great way to foster stronger mothers and daughters bonds through sports. In this session on 9th September, expect to go through a course which will consist of passing, agility ladders and shooting so you can get a taste for Netball! 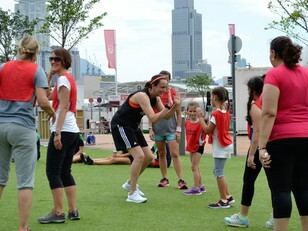 Join us at WISE Start With Sports on 9th September, make some new friends, learn about WISE HK and why sports matter! The sessions will be lead by coaches who play at a competitive level and are very experienced in what they do. For photos of previous events in March 2018, go here and June 2018, go here.